Planning a wedding is such a thrilling experience! Dress shopping, cake tasting, and venue visiting are just a sample of all the wonderful activities you get to do during this exciting time of your life. If you’re looking for the ideal destination that has everything you need for your big day, look no farther than Jackson, Mississippi! A classic Southern wedding is completely irresistible, and there are some truly extraordinary wedding venues in Jackson, MS, that are bound to blow you away. Discover which one of these wedding venues in Jackson, MS, is the perfect fit for you and start planning your dream ceremony today. The Fairview Inn is one of the most romantic places to get married in Jackson, MS! We do everything we can here to ensure your dream wedding goes smoothly and everyone has a great time. 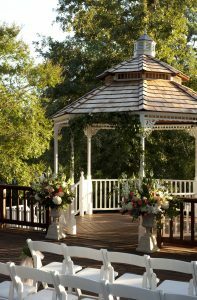 We have accommodations for both indoor and outdoor ceremonies, while our outdoor gazebo is the perfect spot for portraits! We can also provide unparalleled catering services for your special day. This is the ideal venue for those couples who love all things rustic. The South Warehouse in Jackson, MS, is a beautiful, spacious building featuring exposed brick and wood beams. It has plenty of room for seating during the ceremony and dancing during the reception, making it one of the best places to get married in Jackson, MS! This full-service venue is dedicated to providing you with the incredible wedding you’ve always imagined! The Ice House in Jackson, MS, offers some fantastic spots for you to take pictures, such as their spiral staircase, abundant ironworks, and a lovely brick courtyard. This particular venue is Jackson’s oldest surviving residential building, making The Cedars in Jackson, MS, a historical treasure. This spot features two gorgeous acres of land, filled with towering cedar and magnolia trees. You can choose from having a big wedding (the venue has space for 500 inside) or a small, intimate ceremony under the trees outside. Come Stay with Us at the Fairview Inn! While there are many places to get married in Jackson, MS, we believe that our Fairview Inn is your best option! Not only do we serve as a wedding and reception venue, but we also host bridal showers, rehearsal dinners, and engagement parties. We also provide luxurious accommodations for your family and wedding guests and even a romantic honeymoon suite for the newlyweds! In addition to our many services, we also have a variety of Fairview Inn Wedding Packages that are guaranteed to further enhance your time here with us. Don’t wait another minute; contact us at the Fairview Inn Bed and Breakfast today to book us for the wedding you’ve always imagined! 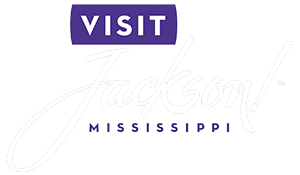 To discover all the amazing things to do in Jackson, MS, download our free Vacation Guide today!